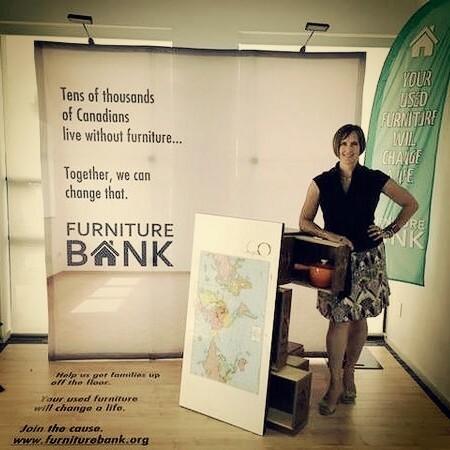 The Furniture Bank is a registered charity that provides people in need the opportunity to get access to donated furnishings and accessories to help them create their new home. I was a guest designer asked to upcycle a piece of furniture from The Furniture Bank, to help fundraise for its annual Chair Affair. 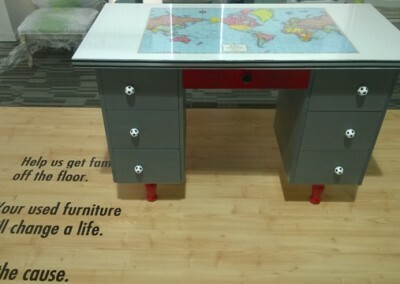 The more furniture donations Furniture Bank gets, the more homes they can furnish and lives they can empower. 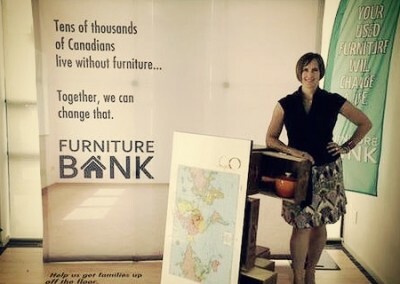 Last year, over 10,000 individuals received help from The Furniture Bank. Did you know that when you book a furniture pickup, you’d likely qualify for a TAX RECEIPT? You win, FB wins and so do the people who come to FB to select furniture for their new home. The redesign of this wingback chair was a joy to do. 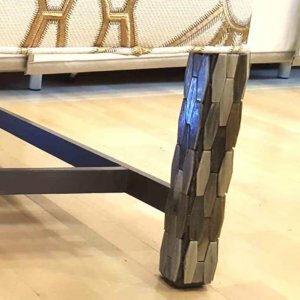 We chose gorgeous embroidered fabric with a complementary lush velvet for the back and we adorned the legs with a beautiful glass tile with a shape that mimics the fabric pattern. 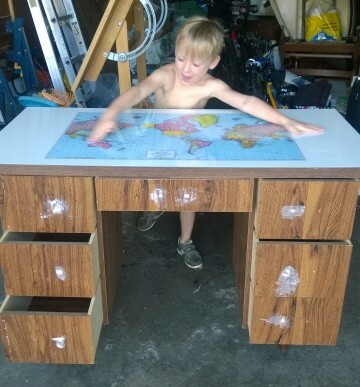 At another Chair Affair, I redesigned and refurbished the vintage 50’s era map desk. 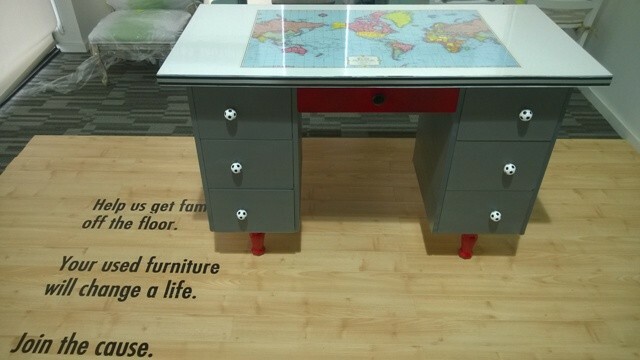 See the before and after photos below of the desk we chose for this great cause. My son, Maxwell, was a wonderful design assistant! I was honoured to be a part of the Christmas Holiday House Tours in support the Royal Lepage Shelter Foundation of Canada. This event raised over $5,000.00 for Interval House in Toronto. women and children seeking refuge from violence. It has 30 beds and is, unfortunately, full most of the time. Besides offering a safe environment for moms and their children, it also provides career training to assist women trying to re-enter the work place. Counsellors assist with resumes, computer training and even a career clothing boutique! Royal LePage has helped fund many renovations at Interval House including: a new kitchen, a new garden, new computer lab and has donated clothes to their career clothing boutique. The desk..with mug stains all over! My wonderful, helpful assistant…My 6 yr old, Maxwell.